Domestic violence occurs in every county and it happens here in Catawba County. In the past few weeks, in just a span of 9 days, from May 28th to June 5th, there were three significant incidents of domestic violence in our county. Two involved gun shots and one involved a victim being held against her will, severely beaten, and sexually assaulted over a period of three days. These are three incidents that became public, yet, sadly there are hundreds of domestic violence incidents happening behind closed doors. Domestic violence is cloaked in secrecy and is the number 1 most unreported crime, along with sexual assault, in the U.S. Despite the secrecy, domestic violence has a ripple effect in the lives of victims, their families, and in the community. Listed below are just some of the ways domestic violence impacts victims and our communities. Domestic violence contributes to our county’s poverty rate. Abusers interfere with a victim’s ability to work by not allowing her to work, causes her to lose job by showing up at the workplace, making false reports to the victims supervisor, causes her to miss work, etc. It is a leading reason for women and children being homeless. 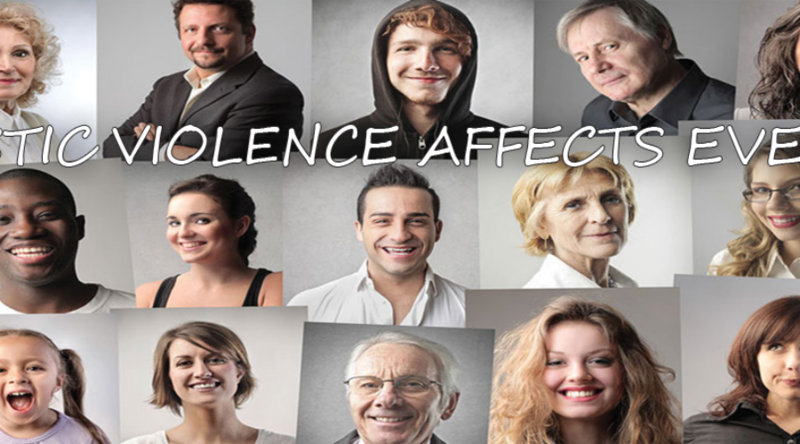 Each physical assault victim averages productivity losses of $476 per victim. Domestic violence is a major public health issue. The total medical costs exceed $44 million annually. Productivity losses per homicide average $610,000. Lifetime costs paid by society for assault victims is estimated at $96 billion. Domestic violence homicides are the fourth leading cause of death of injury among females of child bearing age.